New Zealand U-20 striker Myer Bevan has received a timely boost ahead of the FIFA U-20 World Cup Korea Republic 2017. The 20-year-old member of The Nike Academy has signed his first professional contract with the Vancouver Whitecaps in the Major League Soccer (MLS). Bevan, who was the leading goal scorer for the NZ U-20s and the receiver of the Golden Boot and Golden Ball awards at the 2016 OFC U-20 Championship, impressed on a recent two week trial with the Whitecaps. The down-to-earth youngster can’t wait to get started shortly after the FIFA U-20 World Cup which is being staged from 20 May – 11 June. “I am buzzing,” he said. Bevan paid credit to All White Deklan Wynne who helped with his transition into the Vancouver set-up. “He was awesome to me in my time there. He brought me in and helped me a huge amount,” Bevan said. 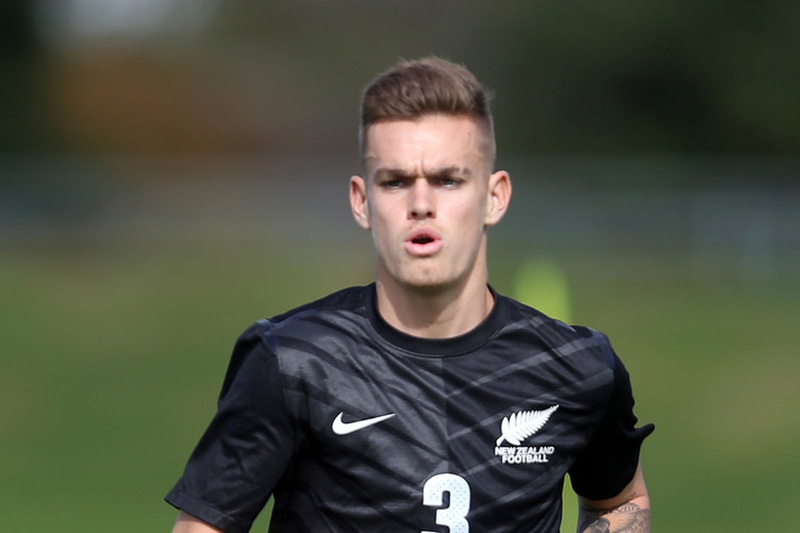 New Zealand U-20 coach Darren Bazeley said it was great news for his prolific young forward. “We have known that Myer is a special talent for some time now and this is further confirmation of that,” he said. Bevan said he has developed a huge amount in The Nike Academy where he has scored 25 goals against clubs like Barcelona, Arsenal, Inter Milan, Manchester United and other world-class teams. Like Bazeley, The Nike Academy head coach Jon Goodman was not surprised to see Bevan selected by a high profile club. “Myer is a hard-working, natural goal scorer who has been a pleasure to work with this season. His greatest strength is his cool head when through on goal; he is so calm under pressure,” Goodman said. Bevan is excited about his pro contract but first and foremost wants to make a statement about his ability against Vietnam, Honduras and France in the FIFA U-20 World Cup.